As the sun fades, fairy lights and lampposts start to glow. 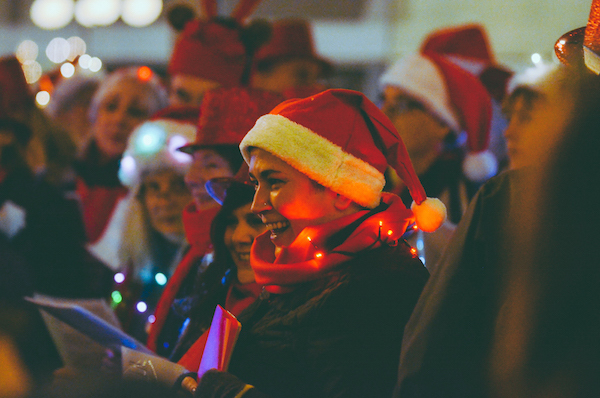 Streets close, enthusiastic volunteers arrive in two’s and three’s, a large stage appears and a considerable score of happy carollers, young and old, descend upon the neighbourhood bringing with them the gift of music. A Carnival Band begins to play, the choirs start to sing, and with many thousands of other strangers, we all clap hands, dance in the street, smile, laugh, listen and somehow, because music does this, we feel a connection, both with each other, and most importantly with ourselves. 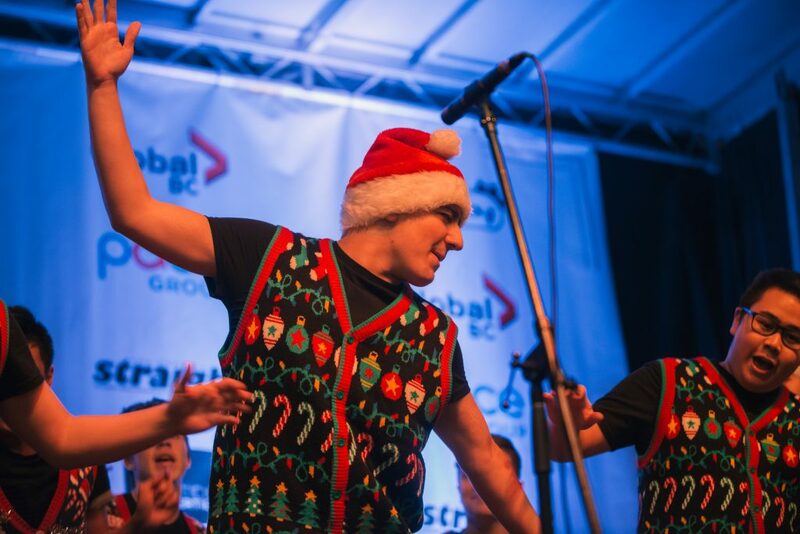 Yule Duel is much more than an opportunity to donate to a worthy cause, to sponsor, support, to volunteer, sing, listen to wonderful holiday music outdoors in Gastown, to come to a free event, watch a competition, hang out with friends and family or just be. It is reason to celebrate. To choose to be grateful and joyful. The holiday season can be stressful and at times, difficult. 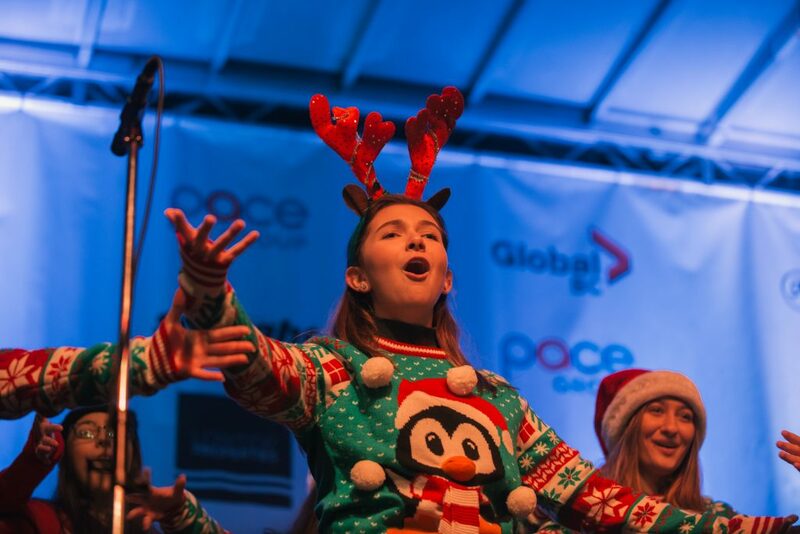 Yule Duel is an experience for all people, created to bring us together, to feel the magic of the holidays and to have fun! 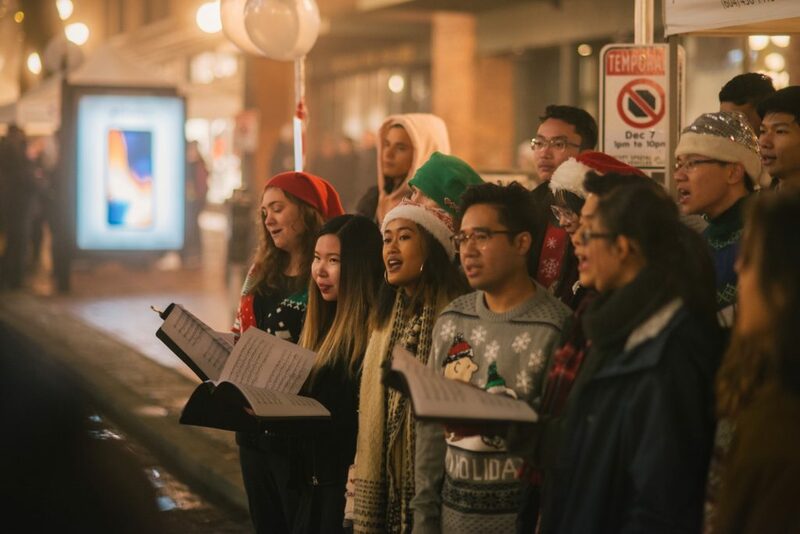 On December 6 at 6pm, Water Street will be transformed into a series of outdoor stages, hosting 15 choirs in Gastown’s fourth annual sidewalk carolling competition, Yule Duel. 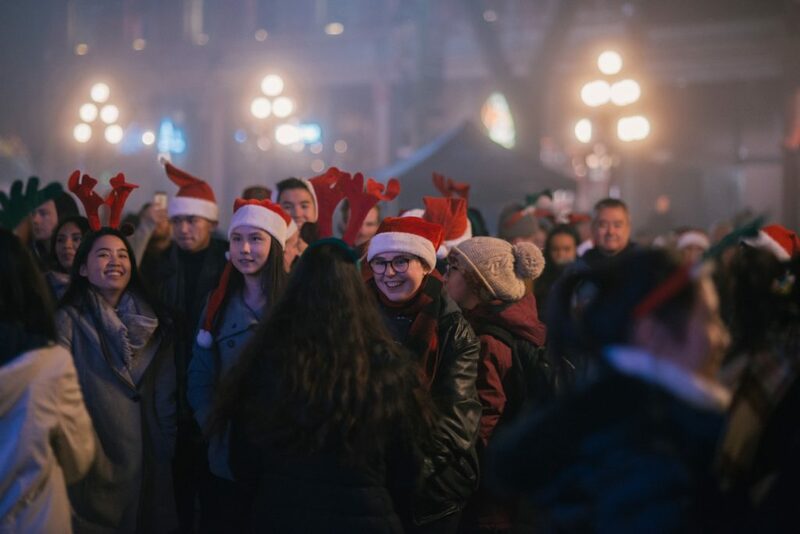 Presented by The Bloom Group and the Gastown Business Improvement Society, the event was inspired by Figgy Pudding, a renowned annual carolling competition and charitable fundraiser in Seattle, now into it’s 31st year. 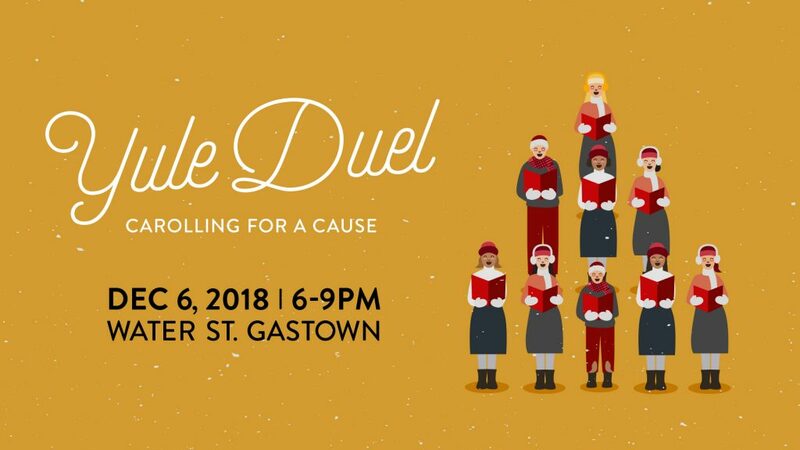 Yule Duel aims to raise funds for May’s Place, an end of life care hospice in Vancouver’s Downtown Eastside. The musical talent will be stellar. 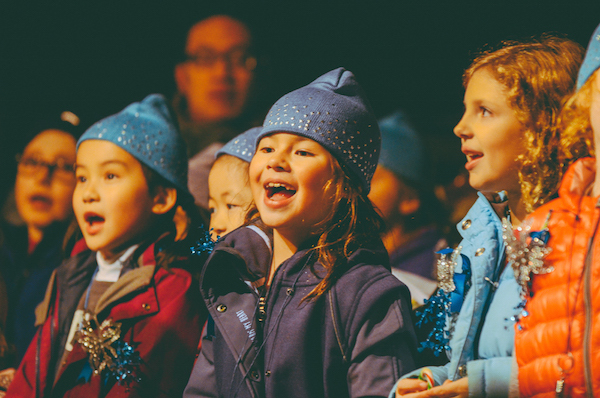 There will be 15 choirs singing rock, pop, gospel, classical, carols from home and abroad, songs in English and Spanish, and variations of Christmas classics which you never thought were possible. Added to the fantastic choirs on Water Street, the evenings entertainment will begin with a performance by Emmy award winning singer/songwriter Dutch Robinson and His Band. 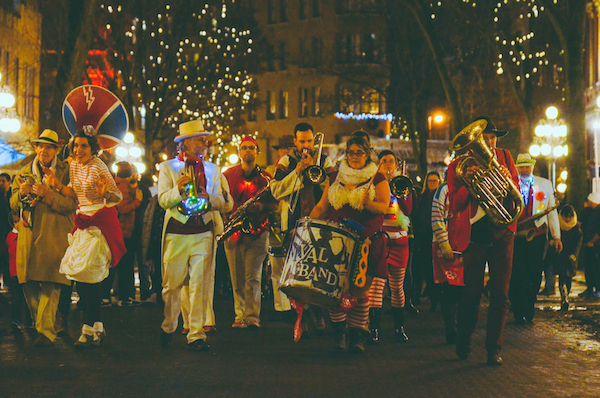 Later in the evening, a street side jam will be led by The Carnival Band – a community music project with ten years of history. 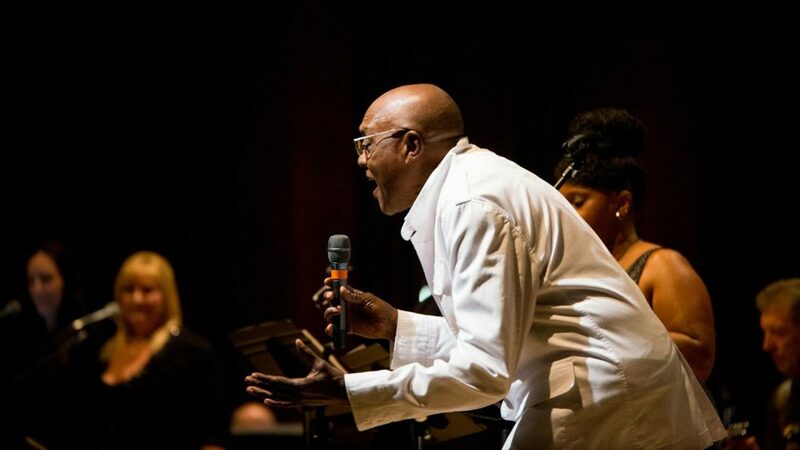 Instrumentation for the band includes a broad range of brass, woodwinds, drums, percussion, accordions, and of course vocals. 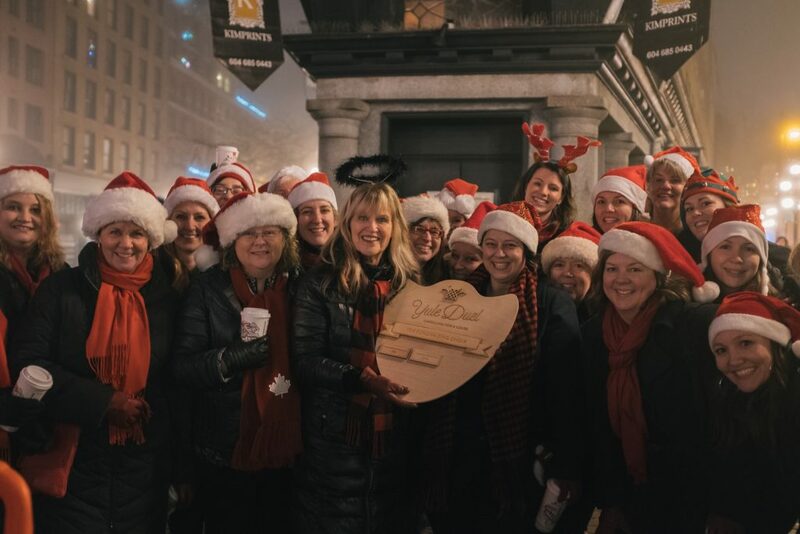 In the spirit of the season, we wish you all a Merry Christmas and hope to see you tonight at Yule Duel 2018!